Stephany Griffith-Jones is Financial Markets Director at the Initiative for Policy Dialogue at Columbia University, and was Professorial Fellow at the Institute of Development Studies. She is a member of the Warwick Commission on Financial Regulation. She has published widely on the international financial system and its reform. 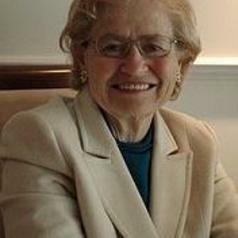 Her research interests include global capital flows, with special reference to flows to emerging markets; macro-economic management of capital flows in Latin America, Eastern Europe and sub-Saharan Africa; proposals for international measures to diminish volatility of capital flows and reduce likelihood of currency crises; analysis of national and international capital markets; and proposals for international financial reform.